Using a widely accepted measure of teacher candidates' performance, edTPA, this chapter examines the role of formative supports in supporting candidate-learning outcomes in a graduate teacher preparation program. The chapter compares performance outcomes for two program tracks: online and face-to-face. Authors conclude formative supports impact the preparation of teacher candidates in both online and face-to-face contexts. Online program delivery modes support greater candidate independence and self-efficacy in teaching preparation skills whereas face-to-face programs create contexts in which candidates are more dependent upon instructors and formative supports to ensure teaching success. The impact of learning environments in relation to performance outcomes has a long history in educational research. Results of this large body of research indicate that in face-to-face (F2F) instruction, the learning environment is intricately dependent and interconnected (Haertela, Walberg, & Haertela, 1981; Ramsden & Entwistle, 1981; Shulman, 1987). In recent years, technology, particularly the Internet, has noticeably transformed the learning and teaching environment. Advocates of online learning argue this mode of instruction can be effective in potentially eliminating educational and access barriers while providing increased convenience, flexibility, currency of material, customized learning, and feedback over a traditional F2F experience (Hackbarth, 1996; Harasim, 1990; Hartshorne, Heafner, & Petty, 2011; Heafner & Plaisance, 2012, 2014; Kiser, 1999; Matthews, 1999; Swan, Shea, Fredericksen, Pickett, & Pelz, 2000). Contrasting views suggest that this learning environment leads to isolation, frustration, waning interest in content, and an overall reduction in learning effectiveness (Brown, 1996; Hara & Kling, 2003; Maki, Maki, Patterson, & Whittaker, 2000). 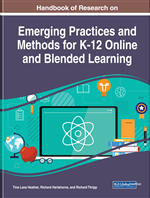 This study examines online and F2F learning effectiveness differences by examining candidate outcomes demonstrated with the Teacher Performance Assessment’s (edTPA) performance measure of pedagogical content knowledge (PCK). PCK is the blending or amalgamation of pedagogy and subject content knowledge and was introduced Shulman (1986a) in the 1980s. According to Shulman (1986b) both content and pedagogy were regarded as one indistinguishable body of knowledge whereby content is about what is known and pedagogy is about how to teach it. PCK is the foundation for teacher preparation program design and is used as a measure of teacher candidate classroom readiness as well as teacher effectiveness. Outcome measures, such as edTPA, embody attributes of both content and pedagogical knowledge. Using edTPA data, a nationally accepted assessment tool for evaluating teacher candidates’ PCK, this study provides data informed evidence of the effects of formative assessments on candidate learning outcomes. At a large urban university, researchers collected summative performance data from candidates completing both F2F and 100% online teacher preparation graduate programs. Within both program tracks, there were two subgroups that either received or did not receive formative supports for edTPA throughout their teacher licensure program. Data from fifteen rubrics comprising the edTPA performance instrument were used to examine the association between formative assessment and learning outcomes of teacher candidates. Candidate scores on rubrics were determined by external evaluations conducted by Pearson. All Pearson assessors are calibrated and interrater reliability is assured. Comparisons of edTPA results for all rubrics and for mean edTPA scores were made using cross-tabulations, analyses of variance (ANOVAs), and Bonferroni post-hoc tests. Learning Management System (LMS): Online platforms such as Learning Management System (LMS) and WebEx which are used to facilitate online program delivery. edTPA: A nationally accepted assessment tool for evaluating teacher candidates’ knowledge and skill preparation. Formative Assessment: An assessment which uses insights about a learner's current understandings to alter the course of instruction and thus support the development of greater competence. Pedagogical Content Knowledge (PCK): The blending or amalgamation of pedagogy and subject content knowledge and was introduced Shulman in the 1980s. Online: A program design in which all learning occurs through an LMS. Teacher Preparation: A state accredited licensure program to certify teachers as meeting state standards for teachers in Grades K–12. Assessment: A composite of the use of assessment for learning (formative assessment) and assessment of learning (summative assessment).